If this occurs, theUnited Statesmay find itself in a new economic crisis. Economic leaders – from both the left and the right – are calling the risk to our attention. The metaphor is a cliff, for which the economy may be heading.Europe has already reached the cliff and it is teetering on the edge because of austerity. The philosophy behind austerity is sound – excessive debt and massive budget deficits must be reduced. But, the double whammy of austerity destroys growth. Let’s see why. Austerity is spending cuts combined with tax increases. Spending cuts plus tax increases equal economic decline. Spending cuts mean less goods and services purchased. It also means that people lose their jobs. The job losses result in a reduction in income for these people and less spending by the recently laid off. On top of that, those people who have jobs are hit with tax increases. Tax increases leave workers with less money to spend. This all equals a significant decrease in spending and an attendant decrease in economic output. Ergo, austerity causes economic decline. There is no question that Europe and theUnited Statesneed to get their fiscal houses in order. The budget deficits in many European nations, theUnited Statesand many states and municipalities are large and unsustainable. So is the current entitlement system and theUnited States’ tax code, both of which need to be restructured. But the implementation of austerity measures during a period of economic decline is not a solution – it is a recipe for further economic decline. And this should worry theUnited States. TheUnited Stateshas had a number of opportunities for leadership to emerge and allow theUnited Statesto restructure. But leadership has not emerged. Rather inaction and political ideology has left theUnited Statesin grave economic danger. When Bowles-Simpson proposed its restructuring plan for theUnited States, our politicians could have embraced the bi-partisan plan and the restructuring process could have started. This would have put theUnited Stateson a path to real economic growth. But Bowles-Simpson was tabled. It was not debated or discussed. And, theUnited Statestoday has no plan. Then, last summer, our political leaders started to debate whether the debt ceiling should be raised. There were “grand bargains” almost made, which would have started us on the right course. But, at the end, “grand bargains” were not reached. The far left wouldn’t take a realistic look at entitlement programs and the far right was willing to let theUnited Statesdefault on its debts. Our political process broke down and, at the end of the day, our political leaders agreed to lift the ceiling in exchange for automatic spending cuts if a broader deal was not reached. If our political leaders do not get together and agree on answers to serious issues by the end of the year, then austerity will simply begin. TheUnited Stateswill see military and medicare spending cuts and the elimination of the “Bush tax cuts,” as well as the other tax increases. This will mean less spending and lower economic activity. Why? Because the government will be spending less on goods and services, government employees will be fired and, as a result, will not have money to spend and the tax increases will decrease the amount of money those employed can spend. What will the result be? 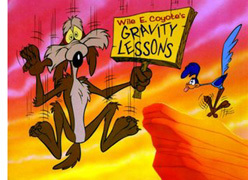 TheUnited Stateswill be at risk of falling off an economic cliff. This is serious business and allowing “austerity by inaction” to occur is unacceptable. We need good governance and good governance is not the abdication of responsibility. We need to set ideology aside and make sure we don’t start teetering on the edge of the cliff.